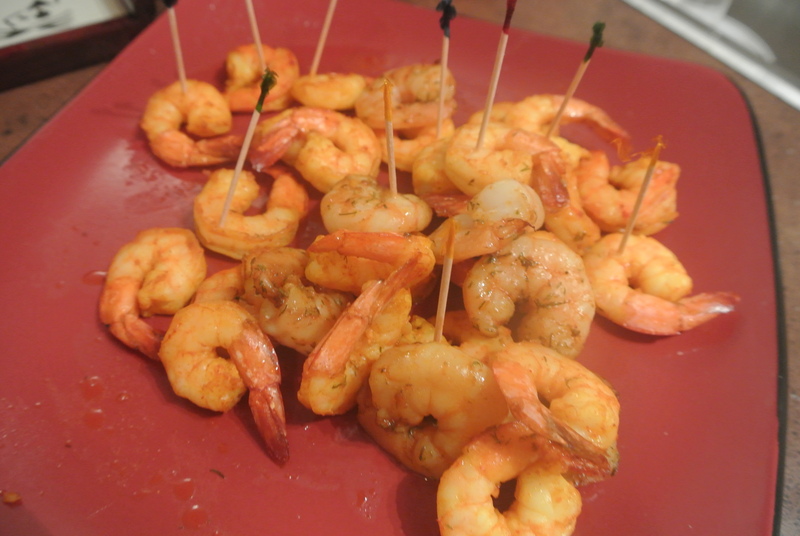 Throughout the summer, we have been taking turns hosting dinner parties and the this month, it was my friend S’s turn. Her theme, Indian! 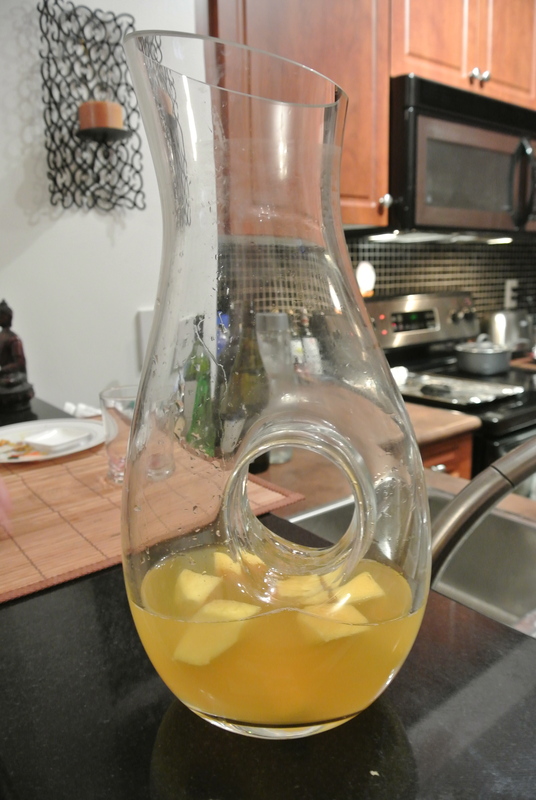 Now I grew up in a predominately Sikh Indian neighborhood northwest of Toronto so samosas, pakoras and butter chicken are very familiar to me 🙂 These dishes however, are the Indian flavours that S grew up with and she started with a mango inspired bellini cocktail, which was light and refreshing with cubes of mango floating in the glass. Then came the food: butter chicken (homemade! 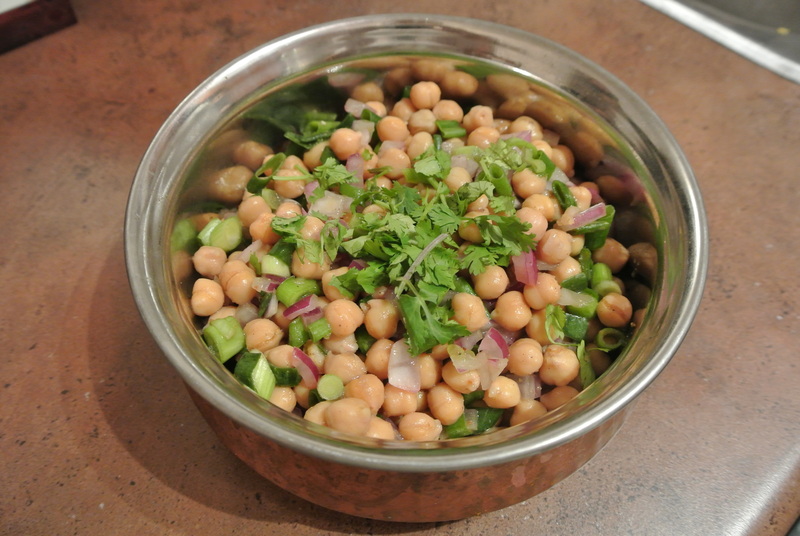 ), paneer cutlets, chickpea salad and more. Everything was so flavourful and that’s what I love about Indian food – it is so well seasoned with spices, every so often I actually crave it! What a fantastic dinner! 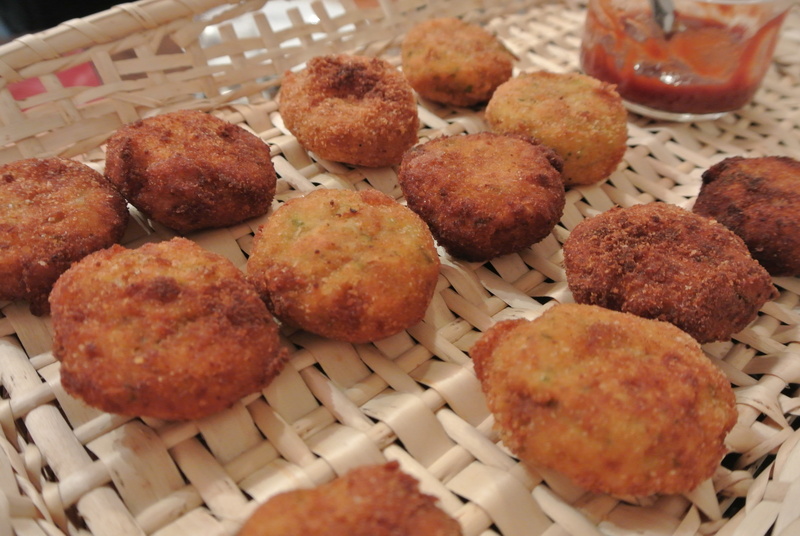 Paneer cutlets – a fresh cheese used mostly in Indian cuisine. 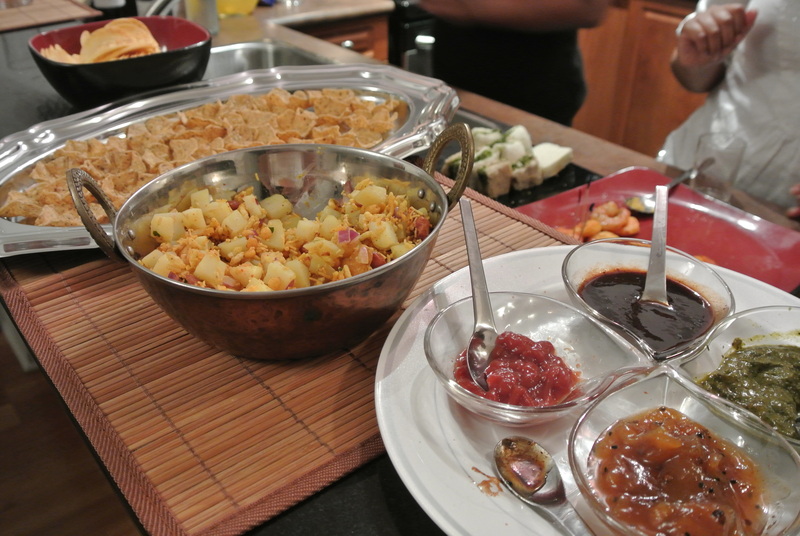 Mini potatoes – this was a hands on dish where the tortilla chips were used as a base with a filling of mini potatoes and chiwda mix, then topped with your choice of chutneys (tamarind, mint, etc.). 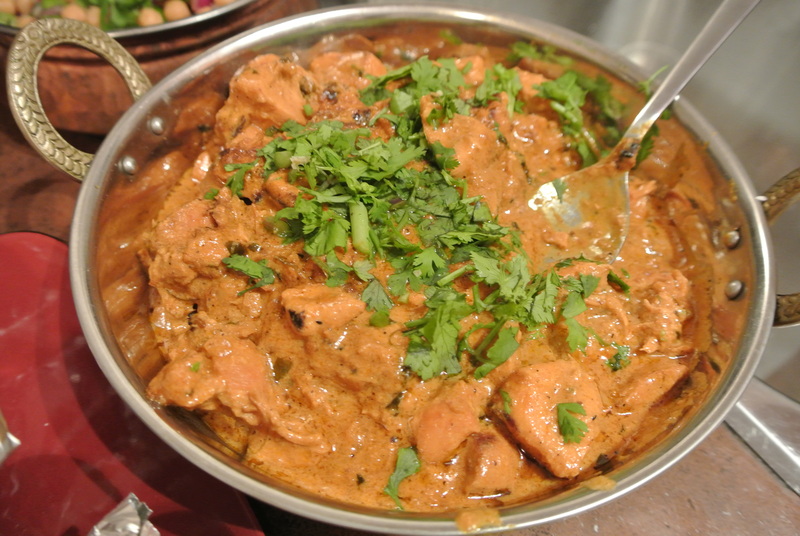 Butter Chicken – one of the best homemade butter chicken dishes I have had with the perfect amount of butter and tomatoes. 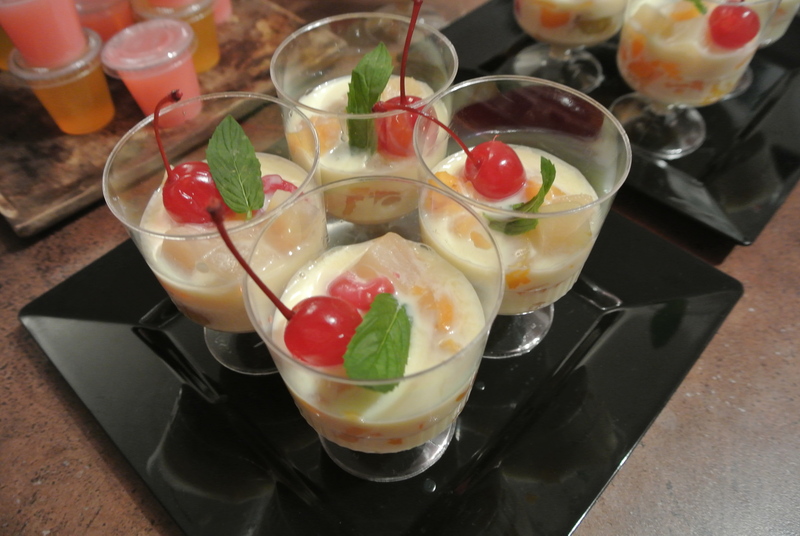 Dessert – fruit salad with condensed milk and a touch of banana liqueur. Okay I think I need lessons. wish i was there!!! can practically smell the food!!! 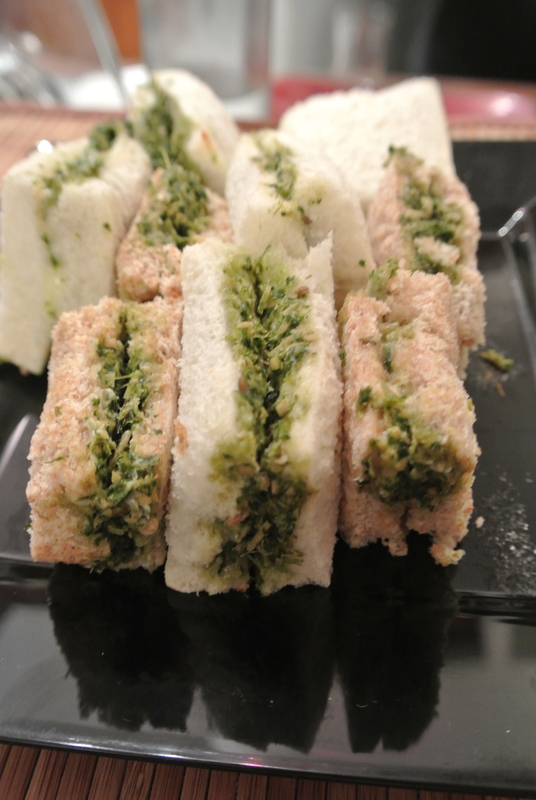 I can't believe I misses it, and no leftovers for me:( Looks sooo yummy!